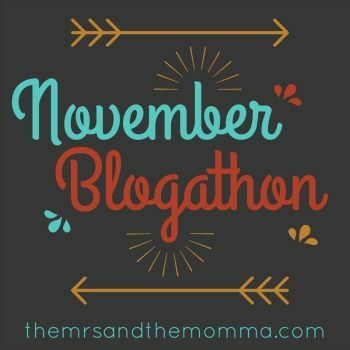 When I came up with all the November Blogathon prompts, this was one of my favorites! 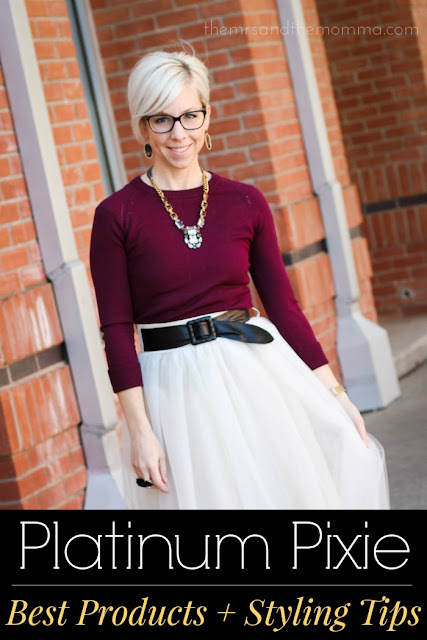 Today I'm sharing tips and products all about my platinum pixie style!!! Below are links to the products I used in the video...feel free to email me with any questions or if you need someone to convince you to take the hair plunge!!!! 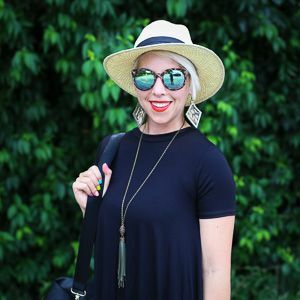 Reader Poll >>> Going forward, what would you like to see if I were to do more vlogs...beauty/fashion/life/etc???? Hey Kristen, I'm enjoying your blog, as always! I often think of commenting, but never take the time. (Sorry.) I appreciate your vlog about hair maintenance, and I need a suggestion. I have super thick hair, and it's normally pretty long, so I rarely take the time to blow dry it. I just let it air dry, then use the dryer on it for a few minutes to give it a boost around my face. If you had to recommend just one product that I can use on dry hair, to add a little more body and shape, what would you suggest? I'm leaning towards the Aquage, but I'd love to hear your thoughts.